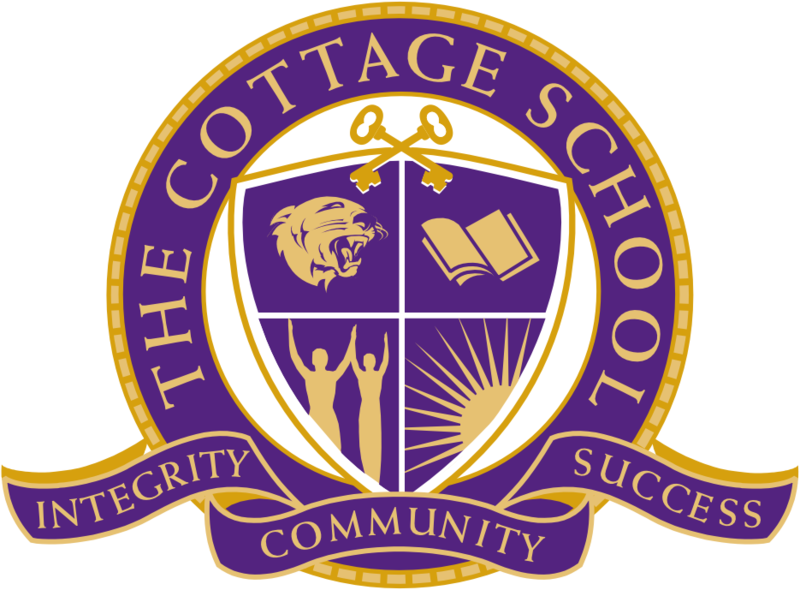 The Cottage School Cougars boys and girls high school track and field teams travelled to Sharpsburg Saturday to compete along with 18 other schools from across the state in the Trinity Christian School’s dedication meet. 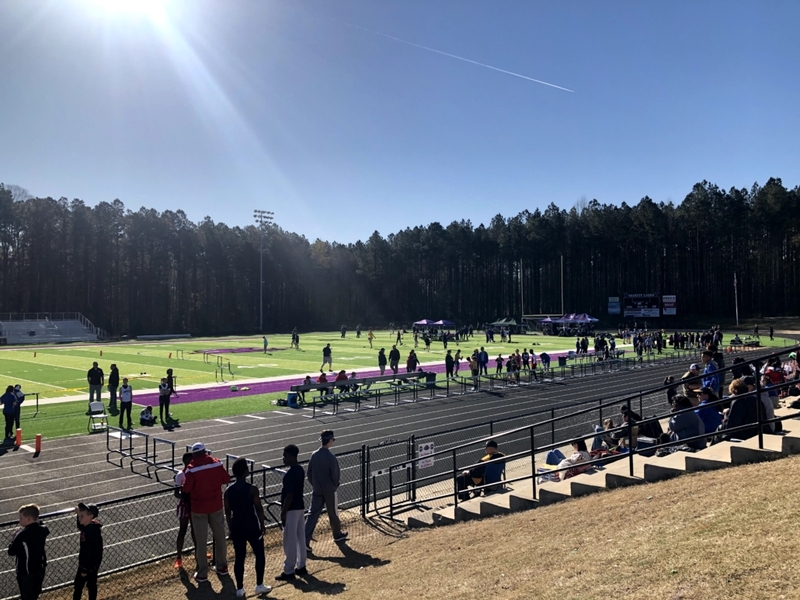 While the teams had to depart the contest early to accommodate our annual fund-raising event, “Glitter,” the student-athletes only missed the 300 intermediate hurdles, the 200m dash and the coveted 4X400m relay. In the 100m dash, Emily Daugherty placed 12th in 14.21, while Natalie Yager ran 15.73 for 27th, and Jordan McGuffey ran 15.81 for 28th. In the 400m, Senior Team Captain, Brandy Michelle Finnell ran 1:28.15 for 22nd place. In the 800m run, Grace Marriott placed 14th, with Emily Daugherty chasing her across the line in 15th at 3:17 and 3:24, respectively. In the 1600m, Grace Marriott ran 7:02 to place 12th. The Distance Medley Relay team of Emily Daugherty, Brandy Michelle Finnell, Natalie Yager and Grace Marriott placed earned silver medals in 18.00.09. Natalie Yager leapt 8’5.5” in the long jump to place 19th. Brandy Michelle Finnell placed 6th in the discus with a toss of 59’4.5” (top eight in each event score points). Finnell returned to the ring for a put of 22’ 2” in the shot where she placed 12th. The boys’ contingency witnessed some impressive performances and results led by team captain, Larry Orsini; the lads in the A squad distance medley relay (1200-400-800-1600) placed second for silver medals in a time of 12:23.57. Running with Larry in that prestigious event were, Daniel Byman, Will Conroy and Nicholas Daugherty. The B team, consisting of Nick Smith, Aidan Briggs, Shane Hendrickson and Cam Michaud placed 6th in 13:33. In the electrifying 100m dash, Kyle Kimble placed 31st, Alex Hogg 44th, and Cal Kinard 45th in 12.68, 13.84 and 14.93 respectively. In the 400m dash, Nicholas Daugherty placed 18tht, Kyle Kimble 19th, and Colton Parks 29th, in 59.78, 59.74 and 1:06.47, respectively. In the 800m run, Nickolas Daugherty placed 5th in 2:21, while Nick Smith placed 12th in 2:31, and Andrew Marriott earned 14th at 2:39. The 7th place finisher in the boys 1600 m run on Saturday at Trinity was our ubiquitous Daniel Byman, and the 4x100m relay team of Briggs, Vogel, Hendrickson, and Kimble finished 19th in a time of 51.60. I retreat with my hat on. In the long jump, Aidan Briggs placed 7th, while Kyle Kimble placed 13th, with leaps of 16’10” and 15’ 1’. In the triple jump, Eric Vogel placed 11th with a hop, step and jump of 28’10 ½”, while Nick Smith placed 12th with a 28’ 7” effort. Toby Nwokedi placed 19th in the discus with a toss of 60’6.5” while Shane Hendrickson tossed the implement into the sectors for 20th at 59’ 4.5”. In the Shot Put, Toby placed top 10 with a mighty heave of 30’ 5.5” and Nick Voorhees placed 19th with a put of 21’ 1.5”. Our next meet is the Atlanta Athletic Conference Championship at Mill Springs Academy on Thursday, 28 March beginning at 9:30AM with an 8:15AM departure from TCS. Thank you for your support as these student-athletes continue to strive for excellence in all things.